Dr. Hemingway is singularly qualified as the leading TMJ practitioner — having successfully completed over 900 TMJ treatments for his patients. His practice is located in the beautiful Carmel-Monterey area of California. NEXT Dentistry‘s award-winning office is equipped with state-of-the-art technology for TMJ treatment. His clients are referred by patients who are now living proof that pain-free TMJ is a reality. Professional dentists throughout the world also recommend Dr. Hemingway for their patients who are seeking a permanent TMJ solution. We invite you to visit us. We’ll treat you like family every step of the way — from the moment you begin exploring the beautiful Carmel-Monterey Bay Area and our singular TMJ approach — we’re your destination for treatment. 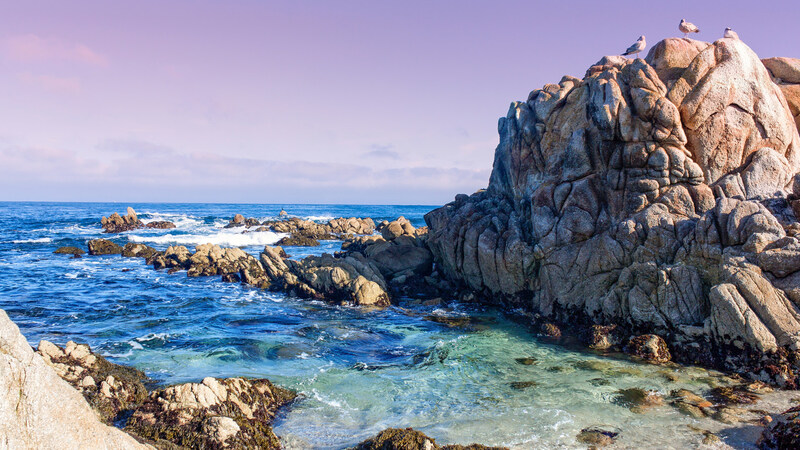 The Carmel-Monterey Bay Area offers a wide variety of activities and sights to explore while visiting our picturesque coastal region. Carmel-by-the-Sea is a storybook village home to white sand beaches and tree-lined streets, peppered with plentiful charming shops and art galleries. It is also host to numerous gourmet restaurants and wine tasting rooms. The Historic Monterey Adobes, Carmel Mission, Fisherman’s Wharf, and Cannery Row are all popular tourist destinations. Pebble Beach Golf Links, The Links at Spanish Bay, and Spyglass Hill Golf Course — as well as 16 other championship golf courses. Scenic 17-Mile Drive at Pebble Beach is widely recognized as one of the most scenic drives in the world. It features The Lone Cypress, one of California’s best-known landmarks. Big Sur, home to the Big Sur International Marathon, is a place defined by nature, where the Santa Lucia Mountains gloriously rise out of the Pacific Ocean. Monterey Bay Aquarium has been rated as the nation’s #1 aquarium by The Zagat Survey U.S. Family Travel Guide. With a 1-million gallon aquarium, 15 species of seahorses and over 45 interactive exhibits it’s easy to see why. Enjoy unmatched California coastal beauty, great hiking, perfect picnic spots, vistas and wildlife, including Point Lobos State Nature Reserve. In the winter, migrating gray whales are visible from the shore. Monterey Wine Country is a top-notch growing region and produces exceptional quality wines. Its coastal valleys and highlands are blessed with cooling fogs and fresh breezes resulting in long, gentle ripening seasons – leading to intense varietal flavor and a diversity of wine. National Steinbeck Center Museum is located in Salinas, the birthplace of Nobel Prize-winning author John Steinbeck. It hosts a premier collection of John Steinbeck’s artifacts, books and film clips.